PLANS by the owners of The Herald group of newspapers to make all its 250 editorial staff redundant and then invite them to re-apply for around 210 new posts attracted an unusually high number of motions at the Scottish Parliament on Friday. MSPs either penned or lent their support to three motions on the topic. The motions were presented by MSPs Cathy Peattie, Sandra White and Pauline McNeill. However, whether parliament debates them will be determined by the level of support they receive. 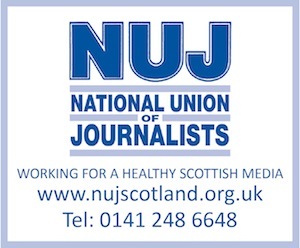 * also notes the existing concerns of staff about stress and other health and safety issues; believes that the actions of the group are unwarranted and unacceptable and can only harm the newspaper industry in Scotland, and further believes that the actions should be rescinded and that the group should seek to work with the NUJ to ensure that the introduction of technological change is subject to a properly negotiated agreement with the workforce. *S3M-3038 Sandra White: Devastating Cuts at The Herald and Evening Times – That the Parliament condemns the announcement that all staff at The Herald and Evening Times in Glasgow will be made redundant and have to re-apply for their jobs under new terms and conditions, which it believes will inevitably leave them worse off, and further believes that this reorganisation will have a damaging effect on editorial independence among the titles and should be re-evaluated. Supported by: Alasdair Allan, Hugh O’Donnell, Stuart McMillan, Andrew Welsh, Pauline McNeill, Shirley-Anne Somerville, Bill Kidd, Aileen Campbell, Rob Gibson, Bashir Ahmad, Christine Grahame, Kenneth Gibson, Brian Adam, Christina McKelvie, Bill Wilson, Cathy Peattie, Bob Doris, Patrick Harvie, and Joe FitzPatrick. * acknowledges the importance of the Herald and Times Group to the newspaper industry and that The Herald, being one of the oldest newspapers in the United Kingdom, and The Evening Times have played a significant role in reporting on the daily life of Glasgow and Scotland, and calls on the Herald and Times Group’s management to meet with the National Union of Journalists with a view to withdrawing this plan. Meanwhile, as no doubt all Herald staff are aware, Donald Martin has given an extensive interview to yesterday’s Sunday Herald. It’s worth a read, obviously, here. Also on Friday, Martin met with Scottish Labour leader, Iain Gray, in what is said to have been an appointment made long before Wednesday’s redundancy announcement. “The news that The Herald Group have decided to make their entire staff redundant was met with anger and disbelief by MSPs across the political spectrum. The comments from Labour’s Pauline McNeill calling the approach of management at the Group ‘draconian’ were absolutely correct. “Scottish Labour’s media team at Holyrood work closely with journalists from all three titles, not just the political staff but also the well respected subject specialists from the titles. We may not always agree with the line that they take or its accuracy, but we respect their important role in holding political parties to account as part of the democratic process. And at a meeting of the SNP National Council, at the weekend, there was further condemnation of The Herald & Times’ senior management with the party’s trade union group saying they would be prepared to call for a boycott of the newspapers. Meanwhile, already on the move is the Evening Times’ head of news – Yvonne Flynn; she’s believed to be taking up a communications post with the Glasgow Housing Association.